I'm preparing for Level 2 and have bought the Schweser online mock exam and the BSAS mock exam. I'll also be doing the CFAI mock exam, of course. Do you have any suggestions for buying additional mock or practice exams? I see that I can buy a set of 3 from Schweser, without having to buy any of their other products. Do the other test prep companies (7 City, Elan etc) offer such an option? CFA Level 2 Mock Exam ($32 after discount) - a full mock exam with 20 item sets (120 questions), close to actual exam in terms of the format, level of difficulty and the question style. CFA Level 2 Session Quizzes ($23.2 after discount)- practice quizzes for all the study sessions in the Level 2, around 150+ questions. CFA Level 2 Mock Exam + Session Quizzes ($48 post discount) - a cheaper combo of the above if you wanna take both options. These are pretty good value for money for additional practice. Level I online package for $59 - 5 sets of practice exams (10 x 120 questions), 5200+ practice questions and full set of study notes based on LOS. It comes with global benchmarking of your performance vs. the rest as well for each paper. Level II online package for $59 - 2900+ practice questions with a full set of study notes based on LOS. Also comes with global benchmarking of your performance vs. the rest as well for each paper. Registration required first to effect discount automatically when purchase. Hope this helps! These seem to be really good value so we're curious to know what you guys think of the quality. Let us know! Hello @Shantala, welcome to the community! Your question is timely. I've been on the look out for more practice papers for our members too, since this discussion with @Ajfinance. 7city: They don't sell it separately (for now). But I'm in the midst of discussion with them on this and it looks promising. So I will come back to you on this ASAP next week, so do come back often to the forum to check for updates. Elan: Yes, they sell 2 sets of mock exam papers with answers for $130 on their website. You need to register with Elan and use the special 300 Hours discount code to get 10% off (so $117 net). It's listed in Reviews and Offers section, code is 36571664166 at check out. Finquiz - another provider that has 3 full length item set papers, going for $250. Unfortunately we don't have a discount code for our readers on this, and I'm unable to comment on material quality as I haven't seen them personally. Perhaps others in the community that have tried it can add to this. Hope this helps @Shantala, will revert on 7city asap. Wow, Sophie thank you so much for your prompt and very helpful answers! I'll check out the above items and see which one I want to buy. I'm really glad that this forum exists, I feel more comfortable asking questions here than on the CFA Candidates LinkedIn group. No problem @Shantala! Let us know which one you've tried, and it would be great to hear your thoughts on the papers too. So we'll see you around more often in the forum then! @Sophie I hadn't heard of Finance Train before. Are they the ones you had previously mentioned regarding the IPS questions for Level 3? Thanks @Sophie . I have visited 7 city's website in the past, they don't seem to sell Q Bank or Practice exams seperately. And off she flies off the building and smacks her face on the ground.... to land in front of 7city's office building. Hi @Sophie, about FinQuiz -- I read two comments on AnalystForum from people who had used FinQuiz mock exams to prepare for Level 2 and were impressed positively by it. On their website, it appears to me that the set of 3 mock exams can be bought separately for $100? @Sophie can you change your profile photo to that? @marc wasn't too impressed by FinQuiz if I remember correctly. @marc can you comment? I didn't look into the Exams on FinQuiz, so I can't speak to them. Yes @Shantala, it's a little odd as this page says you can get it for $100, but when you click it it goes to $250. 8-} Not sure why, may have to ask them that question directly? @Ajfinance, @zee - done! 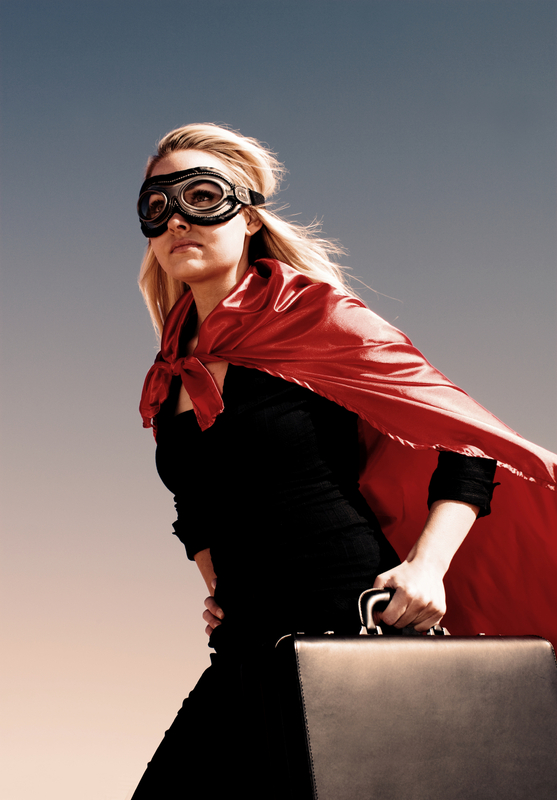 I now am an epic superwoman thanks to @Ajfinance! @Sophie this technique is my personal favourite. And now I know why @Sophie's profile pic is that haha. Excellent! Hi @sophie, any update from 7 City about selling the exams separately? Yup @Shantala, sorry I put it in another posts. But unfortunately they won't be in time to set up the infrastructure to sell this June, but will be ready by December, so for your Level 3 hopefully! Thanks for the list @sophie! Wow @Sophie. Thanks for highlighting this and constantly updating the thread as you come across new deals. This is a little more affordable for me, and very timely! I wanted to know if the practice (session) questions (+150) given by Finance Train are in vignettes format or single questions? Hows the quality of the questions? @sethneha it seems at the 150+ questions probably are not be in vignette format but the mock exam is as the description specifies that they are formatted item set style. Hi @sethneha! Welcome to the community I have asked FinanceTrain on the session quizzes to double check, will revert on this shortly. I have looked through the mock exam myself, they are written by Finance Train themselves hence I like it as it provides "fresh" perspective. The questions are good quality, mixture of calculation and concepts, and fairly represent the LOS. @Diya and @Sophie thanks a lot for the prompt reply! otherwise, will definitely give the mock a try! i have seen can handle the individual questions quite efficiently but of course we can't discount the exam format, this last month would focus more on vignettes and would give them the priority.